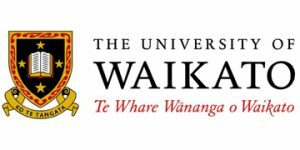 University of Waikato was established in 1964, committed to delivering a world-class education and research portfolio, providing a full and dynamic university experience, distinctive in character, and pursuing strong international links to advance knowledge. University of Waikato is ranked 274th in the world by the 2019 QS World University Rankings. University of Waikato is rated between 351st and 400th in the world and 4th in New Zealand in the Times Higher Education World University Rankings 2018. In 2016, the University was awarded the QS Stars rated for excellence in the category of employability, teaching, facilities, internationalisation, inclusiveness, social sciences and management. The University’s programmes are accredited by the reputable organisations such as Engineering New Zealand, iSchools, AACSB, EQUIS and AMBA. Certificate of University Preparation - Designed for students who don't initially meet the entry requirements for study at a New Zealand university, need additional academic preparation, or left school some time ago and are looking for a career change.